Worried about the world? Take action! Actually, just by being a gardener, you are already making a big difference. Want to do more? Gardens offer so many opportunities to link with nature and rescue the world. What can you do to help? Everything! This lecture is filled with ideas from gardeners who rallied their acreage in backyards large and small to make a difference. From 21st Century versions of Victory Gardens to pollinator plants, native shrubs, and bird forage with scenic excursions into cover-the-earth density plantings, lawn alternatives, herbs, and drought-tolerant suggestions, we talk about how you can ally with nature to make the world a better place for all creatures. The results are ravishing—these gardens bristle with beauty and overflow with pride. With a trowel in hand, you can save the earth. In her constant, undying pursuit of all things garden-related, Tovah Martin gets her hands dirty both outside and indoors. She is a perennial, heirloom, vegetable and cottage gardener of fanatical proportions, and is accredited with NOFA as an Organic Land Care Professional. Beyond the garden outdoors, Her passion for gardening inside her home led to her most recent books, The Unexpected Houseplant (Timber Press, 2012) and The New Terrarium (Clarkson Potter/Publishers, 2009). These newest publications are added to more than a dozen titles that Tovah has authored including Tasha Tudor’s Garden (Houghton Mifflin, 1994). You can also catch the gardening contagion and read about Tovah’s successes, foibles, and travels through her articles in Country Gardens, Traditional Home, Martha Stewart Living, House Beautiful, Cottage Journal, Better Homes & Gardens, at Home magazine, Connecticut Cottages & Gardens, Flower magazine, Horticulture, Coastal Living, Coastal Home, Old House Interiors, Early Homes, Westchester Home & Garden, This Old House Magazine, and The Litchfield County Times as well as many other publications. In other media, Tovah has ventured into web content writing, follow her blog at www.plantswise.com and follow her on Facebook at Plantswise by Tovah Martin. 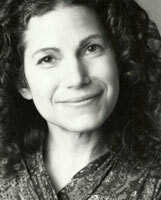 Watch Tovah in action on television – she has appeared most recently on the CBS Sunday Early Show http://www.cbsnews.com/video/watch/?id=7251965n and the Martha Stewart Show as well as many other broadcasts including the PBS television gardening series “Cultivating Life,” where she served as editorial producer. Among the most moving moments in her life occurred when Tovah was awarded an Honorary Membership in The Garden Club of America and the Litchfield Garden Club in May 2010 and when she became the recipient of the GCA’s medal for outstanding literary achievement. In 2013, she received the Gustav Mehlquist Award—the highest honor bestowed by the Connecticut Horticultural Society.